Rokia Traoré On Taking Up Music, And Mali's 'Iron Women' The Malian singer-songwriter finished her latest album, Beautiful Africa, just as war was breaking out in her home country. Traoré says that working as a musician has helped her make peace with a conflicted sense of cultural identity. 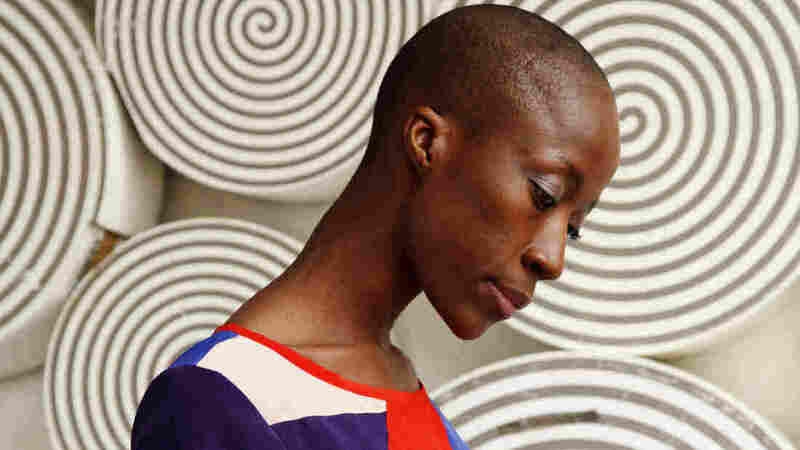 Rokia Traoré's latest album is titled Beautiful Africa. When war broke out in the West African nation of Mali last year, one of the targets was that country's ancient music tradition. As Islamist rebels occupied northern Mali, they banned music and shut down clubs and record shops. At the time, Malian singer-songwriter Rokia Traoré was finishing her fifth album. Traoré is the daughter of a Malian diplomat, so she grew up moving from continent to continent, absorbing all kinds of musical influences. But her homeland takes center stage on her new record, Beautiful Africa. "I am singing about all my relatives and friends living in the countryside in Mali and in Africa," Traoré says of the album's closing track, "Sarama." "These women are simply amazing, because when I feel tired I imagine them in their life of every day. They never show that they are tired. They are like iron women: all the time working, but working and smiling and taking care of everything with nothing to support them. "The amazing thing," she adds, "is that when I go back to my parents' village ... all these people telling me that they are impressed by me, it really makes me cry because they cannot imagine how beautiful they are in the middle of this very difficult life. And I wanted to sing that for them, and to say thank you for being my source of inspiration." Rokia Traoré also spoke with NPR's Melissa Block about becoming a musician against her parents' wishes, and how it helped her make peace with a conflicted sense of cultural identity. Hear more of their conversation at the audio link.